The purpose of the publication of the “Radioelectronics & Informatics” Journal ISSN 1563-0064 (founded in 1997) is popularization and promotion of new scientific trends, technologies, ideas among students, engineers, scientists, as well as convergence of theory and practice. In accordance with the title, the journal reflects the directions of the following scientific fields: computer science and engineering; technical diagnostics; management systems and processes; radio engineering; telecommunications; electronics; information technologies in science, medicine, education, culture, business, sociology, ecology. 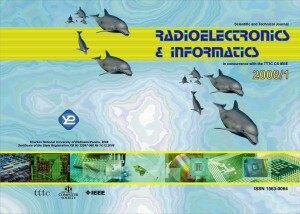 Since 2008 Editorial Board of “Radioelectronics & Informatics” started publishing the Journal which serving electronic test professionals in concurrence with the Test Technology Technical Council (TTTC) of the IEEE Computer Society. The regulation of the editorial board of the journal in the structure of a publishing house can be found here. The main target is to exchange experiences between the scientists and technologies of the Eastern and Western Europe, as well as North America and other parts of the world, in the field of Computer Engineering (design automation and test of electronic systems), Computer Science, Radiotechnics, Microelectronics, HDTV, Telecommunications. We hope that the journal will be interesting for a wide range of scientists, engineers, and students.